We’re proud to announce that we’ve started a new dedicated Headaches and Migraines Clinic on Wednesdays with Associate Osteopath Chris Glover at the helm. Chris his a Masters degree in Osteopathy from the London School of Osteopathy and has trained in advanced spinal manipulations. 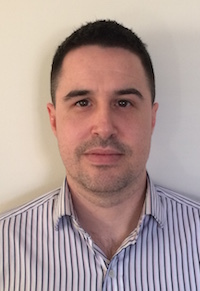 He has gained extensive experience in the treatment and management of many musculoskeletal conditions and specialises in the treatment of headaches and neck pain. To book in a specialist appointment with Chris, give our reception team a call on 0115 981 5134 or book online here. Osteopathy has been proven to help headaches that arise from the neck, so-called cervicogenic headaches. Tight muscles in the neck could be as a result of your posture, working position, stress, sleeping position or even how you sit in your car. Compression of the joints in the neck can also result in head pain. Different parts of your neck refer pain to different parts of your head. For example, if you’re stiff at the base of your neck, near your shoulders, this could cause pain at the back of your head whilst stiffness at the top of your neck, could appear as forehead pain or pain around the eyes. 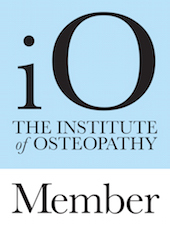 How could an Osteopath help? 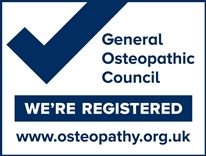 Osteopathy offers a natural way to manage pain, without painkillers. Osteopaths are focussed on finding the cause of the pain, rather than just treating the symptoms. Treatment of the tight muscles and manipulation of the joints of the neck, thorax and back can relieve the build-up of muscular tension that may lead to headaches. An osteopath will also advise on exercise, posture and lifestyle changes which may help to keep headaches at bay. There are many different causes of migraines, but studies have shown that osteopathy may be effective in preventing some types of migraines. Everyone knows that osteopaths are experts in treating back pain but fewer realise that we can treat headaches too. Especially those that arise from stiffness or muscular tightness around the neck or shoulders. These so-called tension headaches are extremely common and often respond really well to osteopathic treatment. We begin with a detailed medical history and a discussion of your current pain and discomfort. This is followed by a thorough examination to identify the causes of your particular headache. From there we’ll use a variety of effective, safe techniques to improve movement, reduce muscle tension and ultimately reduce your pain. We’ll also give you plenty of advice about how to keep the pain at bay, such as stretches and exercises to do at home, changes to your workstation or car seat setup and even how to choose the right pillow! If you’re suffering with headaches and would like to talk to one of our team, give us a call on 0115 981 5134 or email us on info@mooreosteopathy.co.uk.